Since we have incepted our base in this industry arena, we have been engrossed in presenting to our patrons highly effective Nickel Chrome Plating. These provided services are immensely appreciated owing to their timeliness, flexibility and client-centric approach. As well, we guarantee that our customers can get these services from us at immensely low rates. We are offering Hard Chrome Plating Of Moulds to our clients. Industrial and domestic article moulds hard chrome plating and diamond polishing. Aluminum Extruded, Turned, Bent Products in Anodized & Chrome Plating. One of the largest Tri Nickel Chrome Plating Facility (120 Million square decimetre). We are counted amongst the prominent service providers engaged in offering Duplex Nickel Chrome Plating Service. We are offering Nickel Chrome Plating in a customised solution to our clients. The skilled and experienced professionals employed by us are adept in carrying out these services in compliance with international quality standards. Moreover, our quality analysts effectively supervise the process from beginning to end of electroplating. Perhaps the maximum general decorative metal plating technique is nickel-chrome plating. 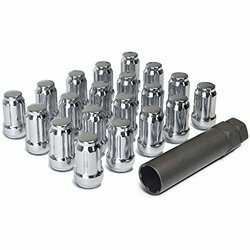 Metal Bright Company expert in this finishing procedure, in which a thin layer of chrome is useful over a layer or numerous layers of nickel plating. We are engaged in providing services for hard Nickel Chrome Plating, Aluminum Extruded, Turned, Bent Products in Anodized & Chrome Plating. Chrome plating in a decorative nickel-chrome system provides a tarnish resistant, pleasing bluish, brilliant, clear deposit on nickel plating. 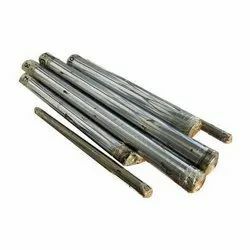 The deposit is hard and therefore resistant to abrasion and wear. Due to these properties, a very thin coating of 0.25 to 0.8 microns of chrome provides a durable and attractive finish. Keeping in mind the various requirements of the customers, we are involved in providing Bright Nickel Chrome Plating Service.